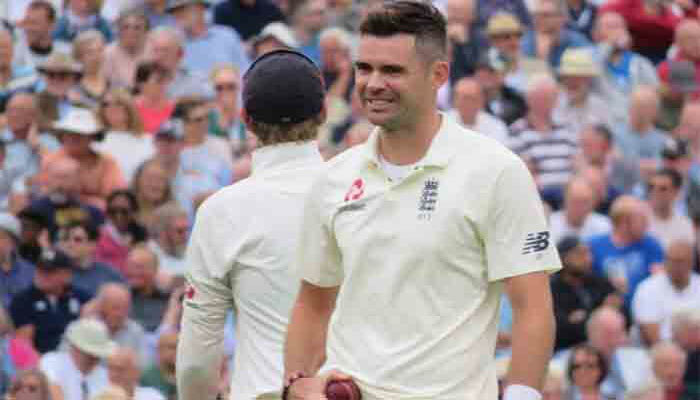 LONDON: James Anderson was kept waiting for the one wicket he needed to become the most successful fast bowler in Test history as England closed in on victory over India at the Oval on Tuesday. India opener KL Rahul was an impressive 108 not out in a total of 167 for five at lunch on the last day of the fifth and final Test. That left India, already 3-1 down in the series, requiring a further 297 runs to reach a notional victory target of 464. India resumed on 58 for three. Rahul was 46 not out and Ajinkya Rahane unbeaten on 10, with the pair having come together when India were a dire two for three. All eyes were on Anderson, who needed just one more wicket to break the record of 563 he shared with Australia great Glenn McGrath after rocking India with a double strike late on Monday. Anderson bowled Tuesday´s first over, with the overcast conditions appearing to favour England´s quicks. But Rahul clipped his sixth delivery of the day legside for four to complete a fifty -- the first by an India opener this series -- off 57 balls. Rahul rightly survived an lbw appeal from off-spinner Moeen Ali on 62 when an England review confirmed he had been struck outside the line of off stump playing a shot. But with both batsmen going well, a stand of 118 ended when Rahane (37) miscued a sweep off Ali to Keaton Jennings at midwicket. India´s 120 for four was soon transformed into 121 for five when Ben Stokes struck with his fourth ball of the day. Test debutant Hanuma Vihari, who made 56 in India´s first innings, fell for a duck when, trying to withdraw the bat, he got a thin edge to wicket-keeper Jonny Bairstow. But Rahul slapped Stokes over extra-cover for six to go into the 90s in extraordinary fashion before his top-edged pull for four off the all-rounder took him to 97. The 26-year-old Rahul then pulled the paceman through mid-off, another remarkable boundary, to complete his fifth hundred in 29 Tests. Rahul reached three figures in just 118 balls faced, including 16 fours and a six.